Lines of credit became very popular in the early part of the 21st century when interest rates were low and credit standards were relaxed in order to increase demand. The most popular line of credit was the home equity line of credit (HELOC), which accessed a homeowner's equity to provide a revolving credit facility that could be borrowed against and repaid as needed. Other lines of credit included personal lines of credit and business lines of credit. Since the credit crunch and market meltdown of 2008, however, lines of credit have begun to disappear and consumers with existing lines of credit are being asked to pay them off or collateralize them. There are several ways to pay back a line of credit. Stop accessing the available credit. In other words, stop spending. A line of credit is almost impossible to pay back if the account holder continues to pull money out of it. By no longer accessing the available credit, the balance on the line of credit will be repaid much faster. It sounds like common sense, but many consumers are in the habit of accessing their line of credit as easily and frequently as writing a check. If your line of credit includes check writing privileges, lock away the checkbook. Better still, tear up the checks. Make more than the minimum payments. Many lines of credit, especially those collateralized by real estate, offer interest-only minimum payments. Obviously, the line of credit will never be paid off if only the interest is paid and never the principal. Get into the habit of paying more than the minimum due on your line of credit. Refinance the line of credit. Another way to pay back a line of credit is to replace it with a more stable credit facility. Especially in the case of HELOCs, converting the line of credit into a secondary mortgage will most likely lower the interest rate and provide the account holder a pre-determined payoff date. Monthly payments will satisfy principal and interest, and the temptation to access the line of credit will be removed. Also, lenders are more eager to convert lines of credit into mortgages, so your current lender may make it easier to handle the entire transaction in-house. How Does an Unused Home Equity Line of Credit Affect My Credit? What is a Subprime Credit Score? Sell assets to pay back a line of credit. 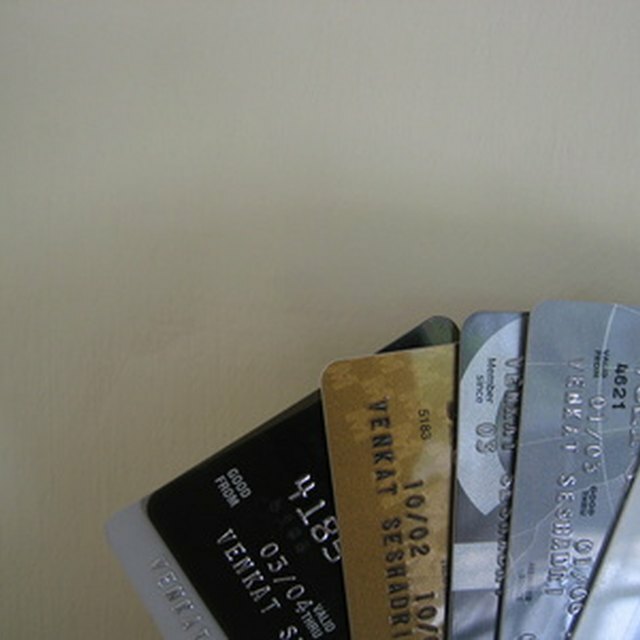 Most often, a line of credit is secured by the account holder's primary residence. By selling the home, the line of credit is automatically repaid before the home owner receives any proceeds from the sale. Selling other assets, such as excess vehicles, boats, collectibles, may also make sense to pay back a line of credit. An unnecessary depreciating asset can be put to much better use retiring high-interest rate revolving debt. Dave Guilford has been a freelance newspaper and magazine writer for more than 10 years. As a former stockbroker, commodities trader and life insurance agency owner, he writes on personal finance, investing, insurance and retirement planning. A former international yacht racer and yacht brokerage owner, Guilford is a frequent contributor to "BoatU.S. Magazine." His work has also appeared in "Latitudes & Attitudes Magazine."